The German King is set in 1914 at the start of World War I in Kamerun (now called Cameroon.) Our hero is Rudolf Manga Bell, the African King of the Duala people. However, their land is under the rule of Germany and after he and his people are pushed too far, he decides to rise up and lead a rebellion. Despite his best efforts, he is eventually captured by the Germans and sacrifices his life for his people. To this day, the people of Cameroon remember Manga Bell as a king, a martyr, and a hero. History has long overshadowed his heroism, our goal is to create a film to honor the man and his legacy. Help us bring this incredible true story to life. 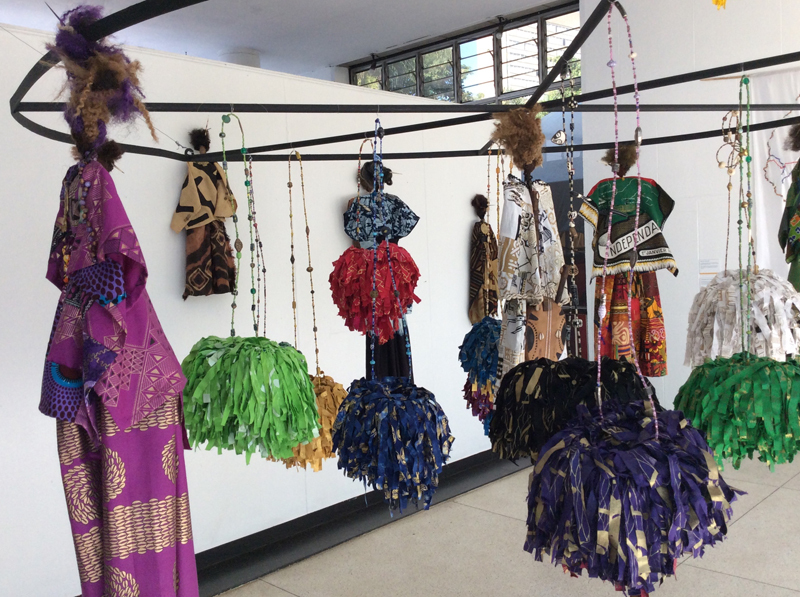 Belatedly, a post about Vickie Fremont's exhibition at HIFA in Harare, Zimbabwe. This exhibition took place from May 1 to May 6, 2018, under the title “Birds of Freedom”, as part of the 18th edition of the Harare International Festival of the Arts (HIFA), which will run under the theme “We Count”. Vickie Frémont , as we know from various articles and blog posts, "has been conducting workshops around the world, using a hands-on approach for the transformation of rejects or trash into useful everyday objects. Her workshops... take place in schools, community centers, universities, and even in commercial malls. They include lectures on the destructive effects that trash of every kind has on the environment and on climate change. The Bank Street School for Children, The Henry Street Settlement in New York City, Community Works, and numerous museums, libraries, and public and private schools" (from the HIFA press release). And may we add that she has been on at least two tours of Peru for the Alliance Française? 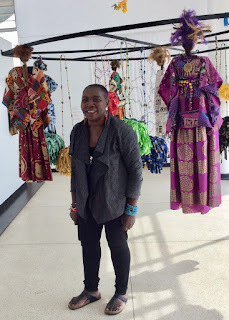 A map of Africa, a map of Cameroon, a country where more than 130 dialects are spoken: showing the country’s rivers and borders embroidered with trade beads, many of which have been used in the slave trade, large puppets representing some African countries with their traditional textiles (Cameroon, Mali, Kenya, Congo), and Birds and their nests: artworks similar to the puppets using recycled materials, in which beads, fabrics and recycled materials such as coat hangers, CDs, old rags, plastic containers, and cutting boards are combined; the resulting work bears no resemblance to any of the original materials. 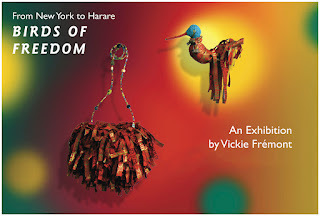 "The show Birds of Freedom is about the connection between continents, and the waves of migration. Birds don't have borders but they know how to go back to where they came from. 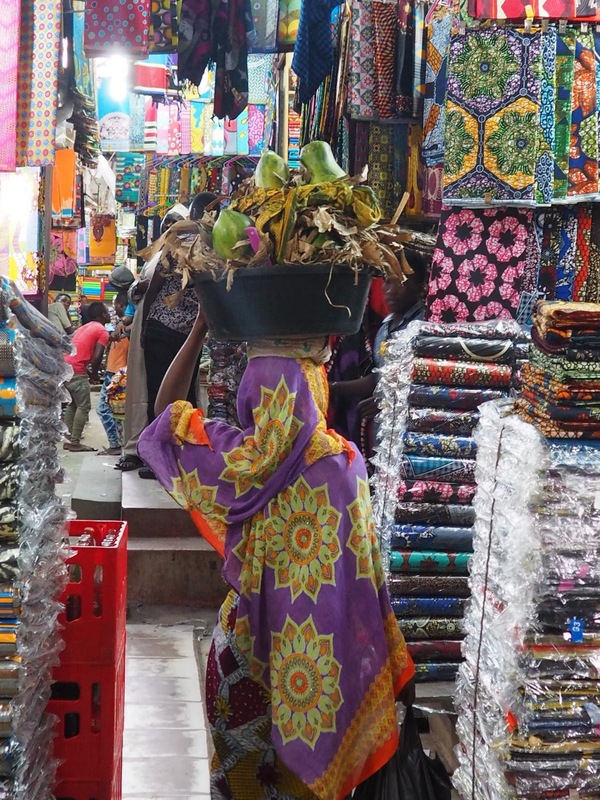 Many people from African countries emigrate to find jobs. The 12 birds portrayed symbolize the movement, the migration, and the central nests are the guarantee that a return home is always possible. Introductory Away From Africa post about Vickie. More African puppets by Vickie. The Viaduc des Arts in the twelfth arrondissement in Paris now houses cafés and chic shops, including the Lilikpó workshop managed by Sika Viagbo. Walking by, the first thing you notice is the originality and the beauty of the creations through the store window. It's a workshop visible from the street: the designer, Sika Viagbo, works on her creations in front of passersby eyes. Before starting her own company, she worked with Pierre Mesguich (Paris), an internationally known mosaic designer, who has worked all over the world. Sika also interned separately in Tokyo and in China. The company's name means "cloud" in Ewé, one of the languages spoken in Togo, where her parents immigrated from. Her own design influences are multicultural, inspired by her travels and experience. How did Sika get started in this profession? suburb. As a music major at the University of St. Denis Paris 8, she discovered the art of mosaic making, and at first made it into her hobby. One of her friends saw her work, and put in an order for decor for a relative's hairdressing salon. At that junction, Sika decided to make it her profession. After interning at Pierre Mesguich, she studied architecture for two years, in order to better understand interior design construction sites, as her main customers are architects, interior designers, and decorators. At the outcome of these two years, she opened her own workshop. Her inspiration? Fashion, textiles, embroidery, art exhibitions... everything in her surroundings... it is hard to pinpoint exactly what influences the final product. WIshing Sika and Lilikpò all the best, competing in one of the world's design capitals, Paris! Fashion: Made in Africa - Zuri's "One Dress"
Thanks to the internet, and the global economy, Made in Africa fashion is becoming more mainstream than ever before. Two partners had a hit on their hands when they designed and produced one simple dress, in a variety of African print fabrics: Zuri. The company has been featured in the New York Times and the San Francisco Chronicle, among other publications. Zuri has a brick and mortar shop in New York City, but San Francisco residents got a first taste at the pop up shop, in October 2017. The dresses' reputation caught the attention of Eden Stein, owner of Secession Art and Design. Usually only local designers are featured, but her customers were clamoring for the dresses. 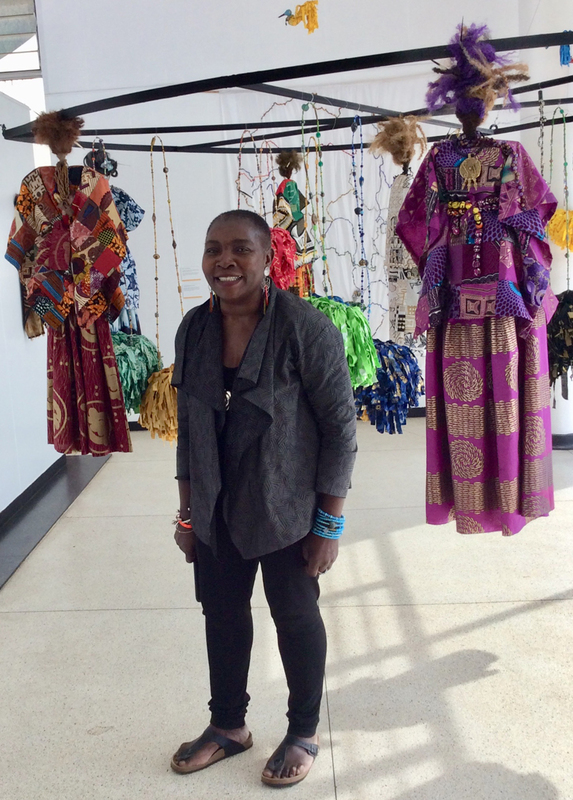 In her words: "I was at a gala for Artspan, mingling with 800 emerging and established artists, when I saw artist Soad A. Kader in her Zuri dress. I beelined to give her a compliment. She told me about a pop up they were doing that weekend in SF. I went and instantly connected with the designers. 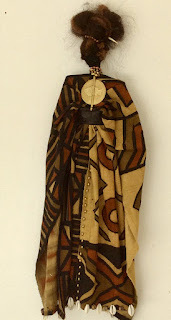 This wearable art gem is the perfect dress buttoned or easy as a coat over a more casual look. 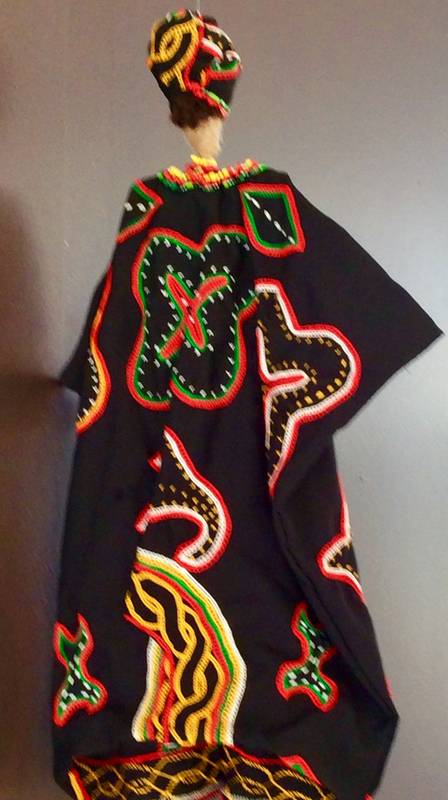 One dress that fits so many women is helping create a sustainable economy in Kenya for the Zuri production team. I feel honored to be their first store in San Francisco. This is a great way to connect our local design community with what is happening globally." The dresses initial conception was through Sandra Zhao, who needed to travel in Africa with clothing that would be comfortable, stylish, yet easy to pack. She later met Ashleigh Miller, who was taken with the concept of comfort + style (she was pregnant at the time), and they partnered to create the business. 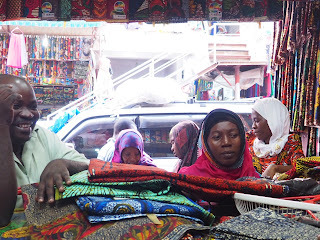 - How do you choose the fabrics? We select our fabrics based on a couple of factors: 1) quality of the material (we try to select material that we know to be colorfast, 100% cotton, and preferably unwaxed finish for a more natural swing when worn); 2) design: we pick what we love! We try and pay attention to seasonality in the United States, but in general, we just pick the prints we like. There are SO many to choose from; it's a serious exercise in filtering, but luckily we have the same taste, so we agree on pretty much everything. Additionally, if a customer writes to us, and says there is a color or print they'd love to see, we always keep my eyes open to make sure we get it for them (for everyone who writes, we assume there are others who feel the same way). 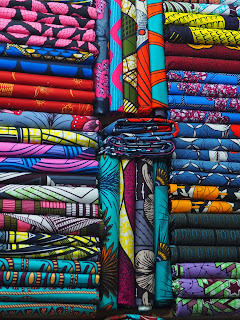 - How do you handle production with local tailors? We have worked with a couple different ethical manufacturing partners who do our bulk production here in Kenya. They're amazing! We are really proud of the impact they have on the local communities, as well as (of course) the quality of their work. 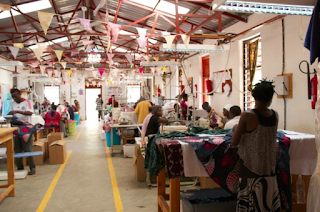 We also work with a tailor here in Nairobi who has been our rock through this whole process. She got us started and helped us push through our first flood of orders; she's been our advisor, our champion (and sometimes, our psychologist...). We still work with her team to do our prototypes for new products before having the digital pattern made. 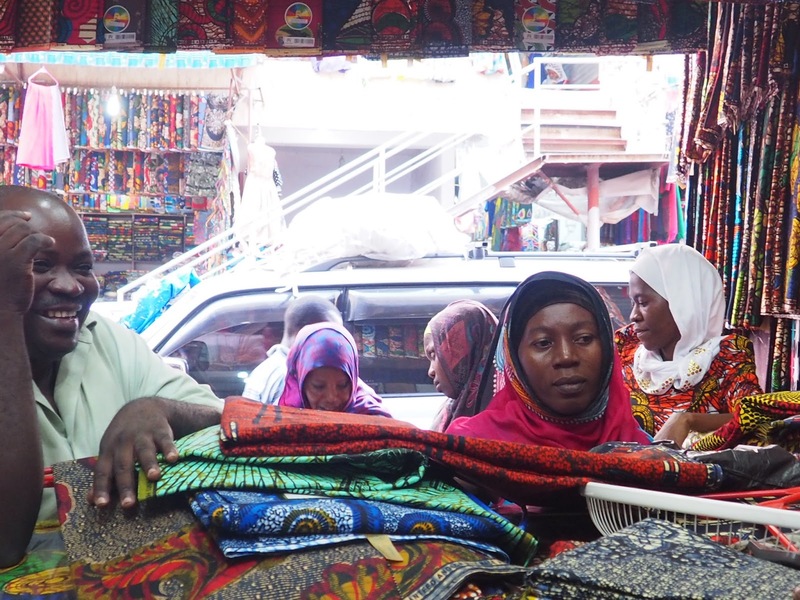 - How many people earn a livelihood thanks to Zuri? We are currently working with 32 tailors and cutters to produce our dresses. Additionally, we buy huge amounts of fabric every 3 weeks from about 20 independent kitenge dealers in Tanzania. We have a couple of point people there who source for us between trips, and then of course the baskets, shukas, our motorbike ("boda boda") team for local deliveries, etc. I'd say we probably fully support 40 people, and Zuri is a major part of the monthly income for another 20 people. - Zuri opened a San Francisco store on Fillmore Street in September, for at least 4 months. 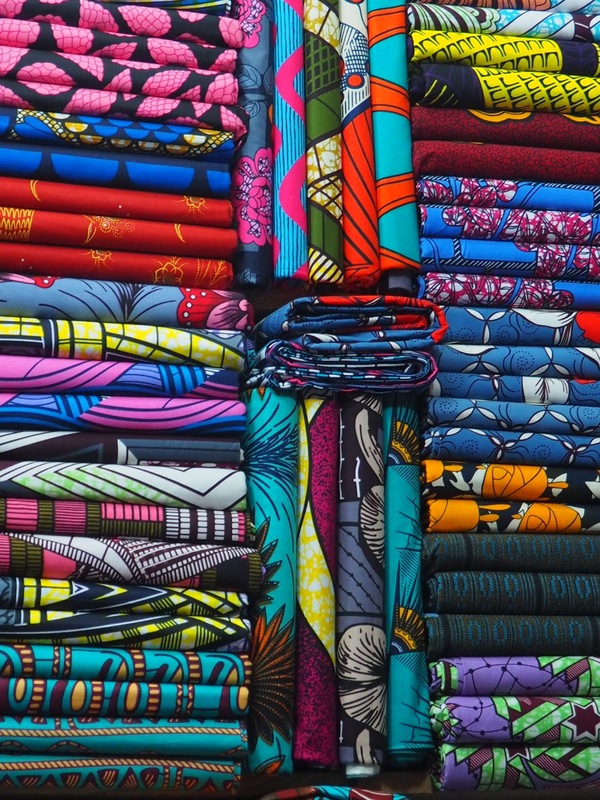 Without any pretense at philosophy or economics, Made in Africa is slowly but surely on the rise, with both "born in Africa" and foreign designers. In the specific case of fashion and the clothing industry, it is important that local professionals continue to be employed, as their livelihood has been reduced though imports of donated clothing from the Western world, as well as Chinese imports (it was sad to see that the "daishiki" fabric popular in the sixties and seventies is now polyester, made in China). The future, hopefully, will bring ever larger operations to the continent, and renewed confidence in the capacity of local industries.